We at Optech Microscope Services can off you a wide range of microscopes and microscope accessories to suit the needs of all our customers. We can provide you with a no obligation quotation for anything from replacement parts up to fully equipped microscopes to suit industrial or laboratory use from all major microscope manufactures including Leica, Meiji Techno, Nikon and Olympus and we are now introducing more cost effective ranges from Microtec and Kozo. Contact us now for an up to date price quotation. 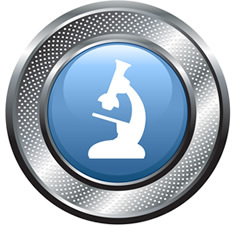 Compound microscopes for biological, manufacturing, education and the asbestos industry. Plus a wide range of stereomicroscopes to suit any need. Contact us for more details. We provide a wide range of tungsten, halogen, stereomicroscope bulbs, UV burners, fibre optic, ring illumination and fluorescence illumination. We are an appointed distributor for CoolLED LED fluorescence light sources and are able to help match the correct unit for your needs / microscope model. Digital cameras and adaptors for photo microscopy, eyepieces graticules (reticules) and stage micrometres including NPL / UKAS certificate test slides, filters, custom made flight cases, and replacement parts for both microscope and microtomes.